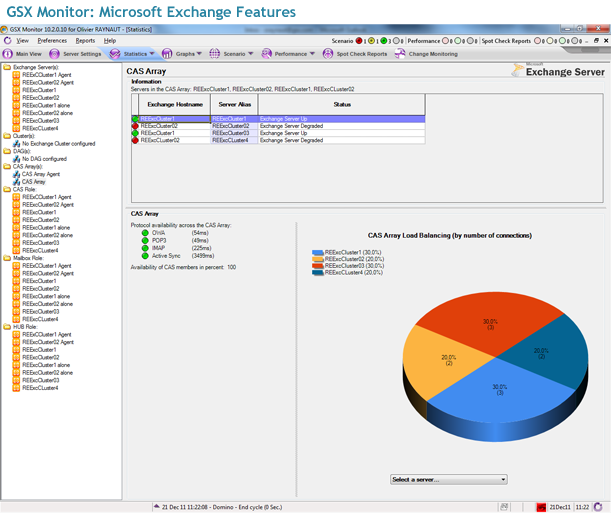 GSX Monitor & Analyzer for IBM and BES provides an exciting new set of features that meet the management challenges of enterprises using Lotus Notes, Sametime, Traveler, Quickr and BES for critical business services. This release is even more powerful, giving managers and decision makers the functionality they need to improve forecasting and responsiveness. 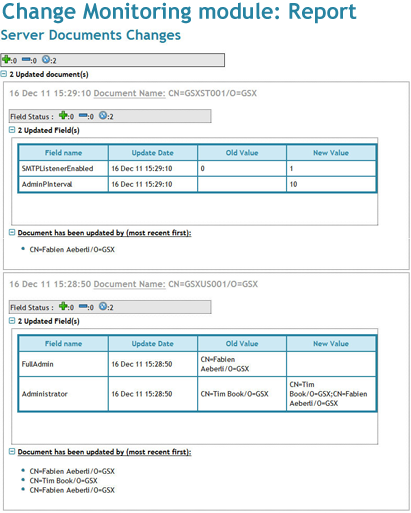 Identify future issues and anticipate them before they happen with the new forecasting features- This brand new feature gives you added metrics that are crucial for capacity planning. Share Trend Report templates across all your profiles, disable obsolete profiles while still retaining all the reporting associated with it. 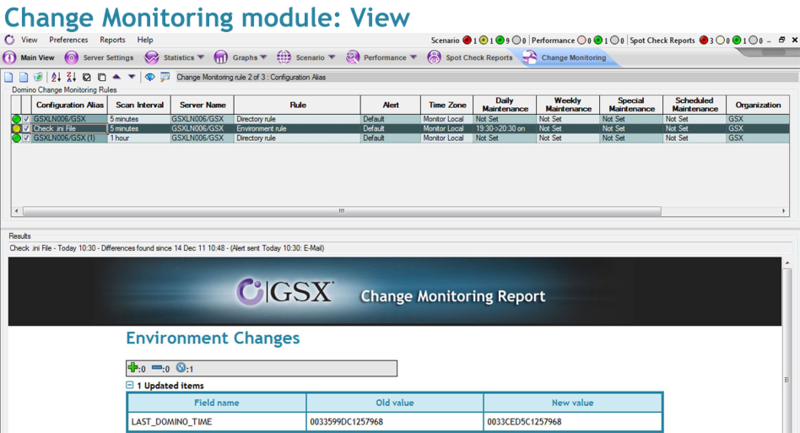 Enhance the user experience: This release reflects GSX's philosophy to put the user experience at the center of development, and deliver services in an intuitive way. 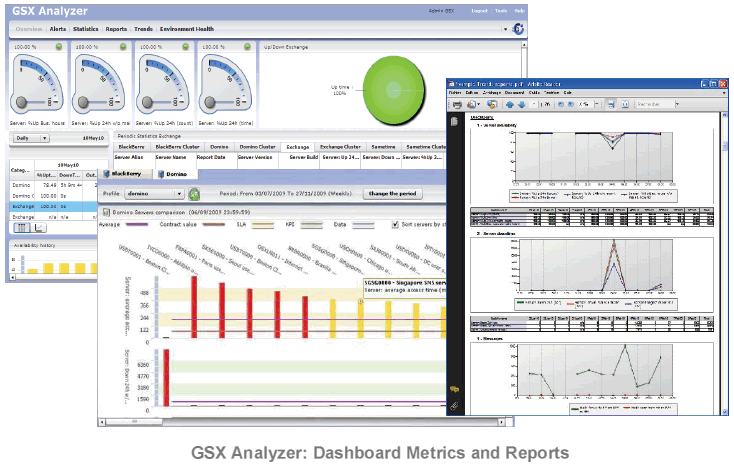 GSX Monitor and Analyzer comes with a set of new features that ease the overall configuration for a plug and play experience, time zone support, ergonomic improvements, pre-configured reports, etc. 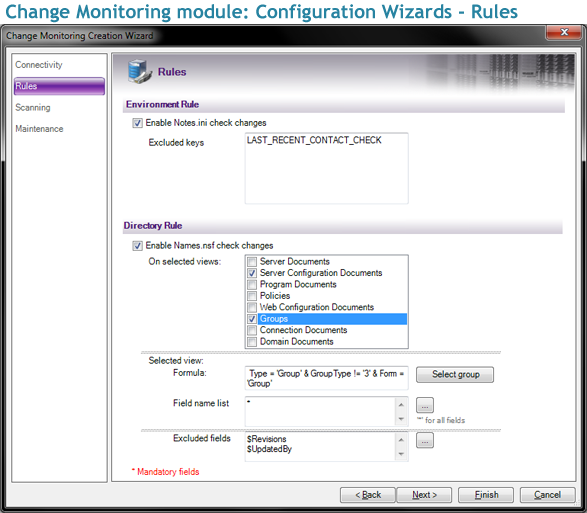 Ensure compliance to corporate policies: The Change Monitoring module for Lotus Domino environments is an ITIL Change Management software. 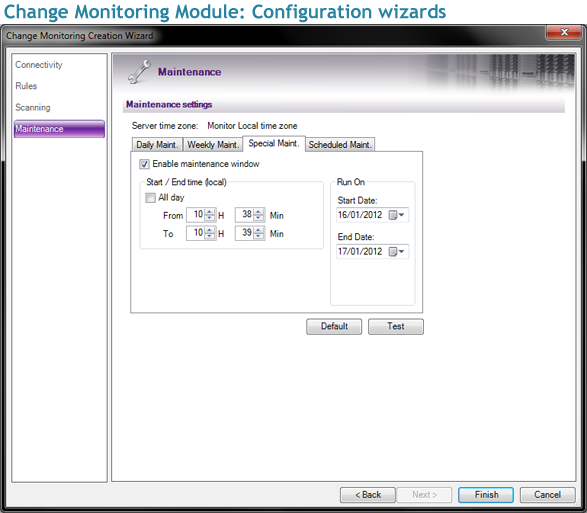 It allows you to track and manage change requests, monitors changes to groups, and demonstrates that security policies are monitored and enforced. 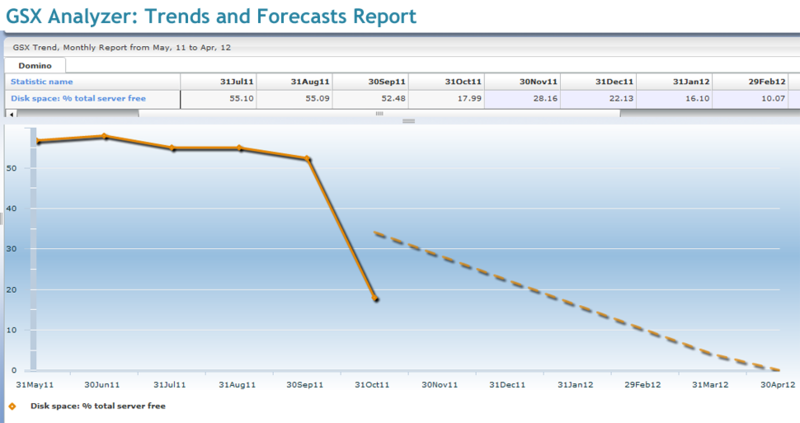 Improve capacity planning: New Forecasting feature provides automated predictive trends based on existing resource usage. 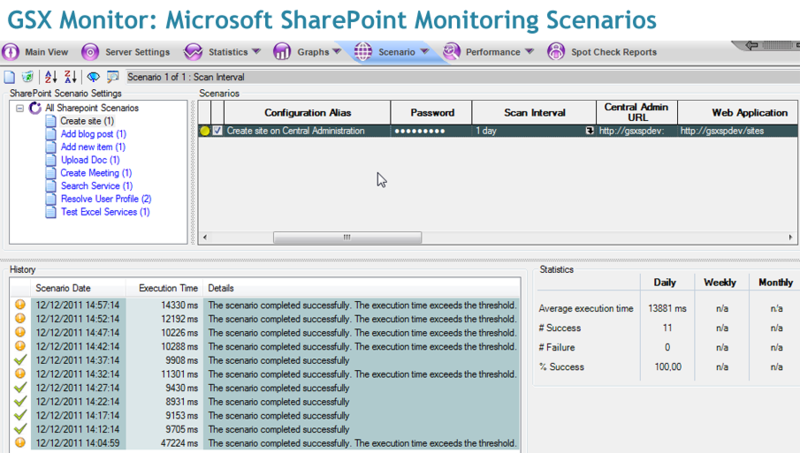 On top of understanding exactly what is happening in your collaborative environment, you can predict what will happen for proactive incident management. This allows you to easily justify and set up corrective actions before they impact the business.